20th April is World Orphans Day, declared by Worldwide Organization for Charity (WOC). It is an open invitation to all to observe the day all over the world. 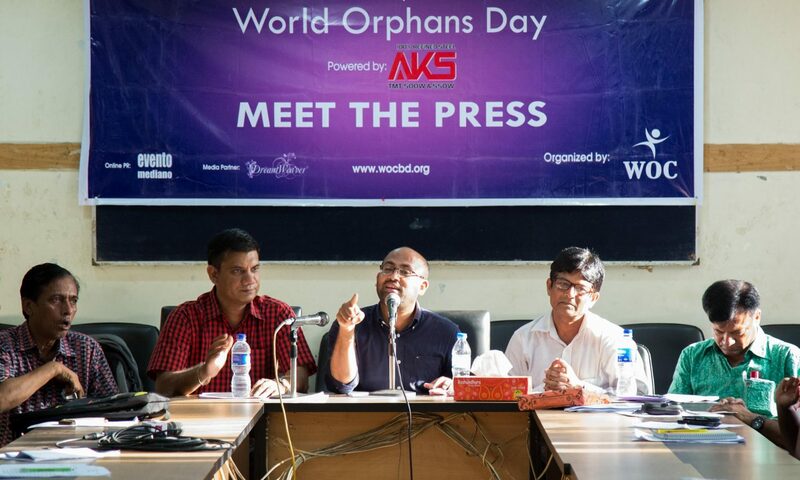 WOC arranged a press conference at Dhaka Reporters Unity, Dhaka, Bangladesh on 19th April, 2016 and on 20th April, 2016 at Chittagong Press Club, Chittagong, Bangladesh and we officially invited Bangladesh’s government and International organizations to observe World Orphans Day on 20th April. Many TV channels, newspapers and web portals covered the conference and news. We got supports from around the world. US Embassy Slovenia and Ambassador Josef A. Mouzumeli observed World Orphans Day on 20th April. Microsoft Kenya supported our programs and in Kenya we arranged program in a partnership with Microsoft. Many other national and international organization observed 20th April as a World Orphans Day. At this very moment, hundreds of millions of young souls across the globe are withering and wailing in despair, finding no solace, no comfort, and no guardians to oversee them. Countless underprivileged orphans, abandoned and exploited, lead a life of solitude and helplessness, no one to guide them. For them, food is scarce and any shelter is only temporary. Street children without a home or any caretakers are subjected to abuse on a regular basis. Exploitive, perverse crooks only wait for young, innocent, hungry children to stumble into their trap so they can be taken advantage of. Deprived of love, affection, and basic resources for survival, they find themselves unable to seek hope for a better tomorrow. Providing a “better tomorrow” for helpless and underprivileged orphans across the world is the aim of the innovative and heartwarming “World Orphan Day 2017.” Organized by the renowned World Orphan Center (WOC) not it is Worldwide Organization for Charity (WOC), this day motivates citizens to help the orphaned children suffering from poverty and maltreatment. On the morning of April 20, numerous participants, volunteers, speakers, and orphans gathered cordially at Anika Community Center, Chittagong, to join in the promotion of this glorious and inspiring message. In a nutshell, World Orphan Day can be described as a day for charity and beginning of better job for society. A wonderful and energizing rally took place, as a vigorous crowd of participants of World Orphan Day took to the streets. An enormous and attention-grabbing banner bearing the name of the event and the message of “Our Kids, Our Future” was placed at the forefront, as the crowd took strides across the city. One clear, bold message was proclaimed that day: we will not ignore the abuse of orphans across the world. The rally spread the message of hope and encouragement to promote the rights and well-being of underprivileged children. WOC awarded five extraordinary figures and families for their immense contribution to making a better tomorrow for orphans. The second recipient is the parents of “Ekush baby.” Dr. Zakirul Islam and Shakila Akter Noor adopted the baby whose parents left him in a dustbin on 21st February. The third recipient is Saiful Hakim, a renowned youth leader, for his great work for orphans. The fourth recipient is A J M Nasir Uddin, Mayor of Chittagong City Corporation, for his out standing kind support for orphans and underprivileged children.The fifth is the Barrister Tarekul Akber Khandoker, a youth leader and founder of Youth Voice of Bangladeshm, for his contribution to the development of youths. He appreciated WOC activities from his heart and welcome all kinds of support from him. Lion Mostaque Hossain, Immediate past lion Governor of Lions Clubs International, District 315-B4, Bangladesh was present as a special guest and appreciated WOC Founder’s Dream making project for Orphans at the program. Colonel Abu Naser Md. Toha also addressed at the program where he described his vivid decision about creating a fund for orphans at his institution for what he got the prize of RQ Move inaugurated by WOC this year. Other motivational speeches brightened the event. Salma Huq, an environmental activist and a young woman entrepreneur, delivered a wonderful tribute to the importance of mobilizing the youth to help children who are suffering. Ln Md Mostaque Hossain, a distinguished social worker and trainer, also graced the event with his presence. SM Khaledur Rahman, a blind Bangladeshi police officer, charmed the audience by relaying his brilliant story of overcoming his struggles and achieving success. 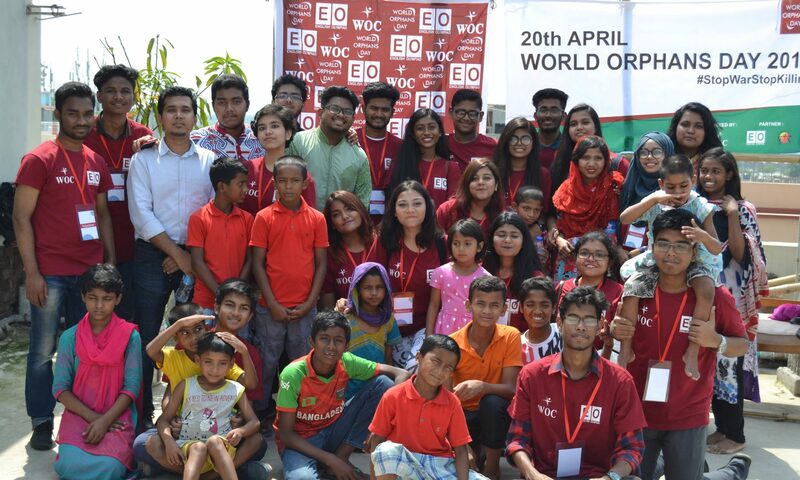 Some youth participants, Fatema Botul and Adeeb Chowdhury, also gave speeches elaborating upon the message and meaning of World Orphan Day. Mohammad Aman Ullah, the founder of WOC and conductor of the event, dazzled all those present with a heartfelt tribute to the significance of his work. “All the wealth of this beautiful world will be meaningless if any child dies because of hunger,” he proclaimed vividly. He and his team have been advocating for World Orphan Day to be recognized by the United Nations (UN) as an official special day, and will hopefully soon succeed. “We inspire local organizations and individuals to come forward and help the orphans. The orphans are a particularly vulnerable group, and they need our support, which means both individual and state initiatives are needed to reduce the risks and vulnerabilities that they are exposed to,” he added. Keeping in mind World Orphan Day’s apt and wonderful slogan—“Our Kids, Our Future.” This slogan reflects the reality that when we are helping young orphaned kids succeed, we are also helping our nation and our world make progress. We are giving young children an opportunity to shine, and a platform for success in the real world. This platform, if utilized properly, will help establish a better tomorrow for us all. And, for that reason, we shall think of abused orphan kids as our very own kids—for they will be among the next generation of citizens brightening our world. 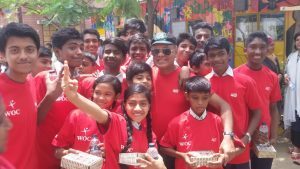 A very active volunteer team of WOC’s Volunteers wing called Awesome Volunteers (AV) and Young Awesome Volunteers (YAV) managed every activities of this program from feeding to hospitality. 13.Encouraging sponsors to focus on underprivileged children 14. Will encourage adoption. WOC is now Planning for a big project called “Coding For Kids” as an apprenticeship for orphans and underprivileged kids.